A dementia diagnosis can bring up a lot of feelings. After all, you will be grieving. It is not uncommon for someone to become depressed after this diagnosis. And you will probably experience fear. What will the future bring? You may worry about your loved ones. How will they handle this disease? Will you become a burden? And to make the situation more difficult some days you feel and act like your old self. You may begin to wonder if you really have dementia at all. This is because dementia does not follow a straight-line progression. Instead, it will weave and wind leaving you and your family more confused than ever. In fact, you may think you have a lot more time to make plans than you really do. But time is of the essence with a dementia diagnosis. The truth is you may be very self-sufficient for a number of years. And then a sudden downturn could occur. A visit with an Elder law attorney can help you make a solid financial and legal plan for you and your family. A lot of families believe that Medicare will take care of all of their needs. This is not the case. Medicare will pay for medically related issues. Hospital stays, rehabilitation and a few other medical services may be available to you. But it will not cover bringing in-home care workers to help. It will not cover an assisted living, memory care or nursing facility. These services are private pay. Medicaid will cover care in a nursing home and sometimes some home care. But you must qualify. An elder law attorney can help you to look at and analyze the different options that may be available to you. If you are able to qualify for Medicaid they can help you fill out the appropriate paperwork. Also using trusts and other tools, your attorney can help you and your family be in the best position possible when you need more care. A good Elder Law Attorney is connected to other professionals in the community who can help you. They will know about the resources the community has to offer. Furthermore, they may also know about non-profit organizations who can help if you need. Your attorney will be a valuable partner on this journey. 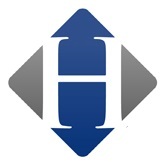 The Hilbun Law Firm offers free workshops just about every week. They are designed to help you get the information you need to make the right plan. Do not delay. Time is of the essence. Options that will be available now may not be available if you wait. Take a look at our schedule now! I am not sure how or why money, especially your parent’s money, became such a taboo topic. Carol’s Parents Were Very Proud. They were also frugal. And privacy was important to them. Carol and her brother had no idea what their parent’s financial situation was. When Dad was diagnosed with Parkinson’s disease Carol and her brother tried to broach the topic again but Dad refused to have the conversation. They backed off, not wanting to upset either parent. As with some Parkinson’s patients, dementia was part of the process. It soon became clear that Carol and Jim’s Mom could not take care of their Dad alone. Their Dad was a large man. He was 6’4 and weighed about 240 lbs. He began having a series of falls. And he would get angry and then confused when this happened. Marie, Carol, and Jim’s Mom was a small woman. She was 5’3” tall and just a wee bit over 100 lbs. There was no way she could lift her husband James when he fell. Several of the neighbors helped. But Marie hated to be an imposition and James was embarrassed. A few times she even had to call the fire department to help in the middle of the night. And they kept this information from Carol and Jim. Marie didn’t want to worry the children. Carol lived 4 hours away. Jim lived closer but he was busy with his work and his own family. He stopped by every week or two. But this was not enough to get a clear picture of what was going on. Then Marie had a heart attack. She was rushed to the hospital and had to have surgery. Jim and Carol had their eyes preyed wide open. Staying with Dad they wondered how their Mom was able to take care of dad this past couple of years. The social worker at the hospital wanted to help. But the problem was without knowing about their parent’s financial situation it would be hard. Mom would stay in the hospital for a week or so and then would be transferred to a rehabilitation facility to heal and get her strength back. 20 to 30 days would most likely be all that Medicare would pay for. After that, the family would be responsible to pay for their care. The fact is Marie could not continue to try to care for her husband alone. And Jim and Carol both worked and had families to care for also. And it was also clear that Dad needed around the clock care. There Were a Lot of Care Options. From home care to assisted living to care homes and nursing homes. And for 24-hour care, the costs ranged from $3500 to over $12,000 per month. And without knowing what their parent’s financial situation was, Carol and Jim had their hand’s tied. It was pretty clear that Dad could not make the financial decisions. With Marie out of the house, he became agitated and more confused than ever. Though Mom would heal with time and only need minimal assistance, Dad was a different story. James needed someone to assist him 24 hours a day. Two middle aged friends on a computer. Luckily Marie was able to recover. She and her children sat down with an Elder Law Attorney to make sure all of the necessary paperwork was in place. Furthermore, their attorney was knowledgeable of the local eldercare community. As such, she was able to refer them to the right professionals who could help. And the good news was, they had a long-term care policy and James qualified for VA Aid and Attendance benefits. The attorney would be able to help them get these benefits. This is Not an Uncommon Story. And while this story turned out to have a silver lining, not all families are that lucky. Some may need help to apply for Medicaid benefits. The truth may be that mom and Dad do not have any savings or a long-term care policy to help. These families also need to help of an Elder Law Attorney. Applying for Medicaid is quite a process. Most families need assistance to make sure everything is done correctly. With a couple, it is important that there is still some income for the spouse to live on. This is a slippery slope many adult children are learning to navigate. We want to honor mom’s wishes and yet we are concerned for their safety and well being. Where do you draw the line? Here are 5 ways to really “be there” for mom. Loneliness can be deadly. Staying social will not just keep mom happy, it will keep her healthy as well. In fact, researchers have found that Late-life depression may increase the risk of incident dementia, in particular of Alzheimer’s disease and vascular dementia. Additionally, if mom gets depressed she may not eat right, remember to take her medication or get any exercise. All of these things can affect her physical health as well. Find senior centers and organizations in your area of town. The local YMCA also offers a lot of special classes for seniors. Most people who join end up making a lot of new friends. If your mother can no longer drive to attend these activities, arrange for transportation. A caregiver agency like Right At Home is partnered with LYFT to provide safe and reliable transportation for seniors in the Cypress, Texas area. Mom may tell you she doesn’t need any help. Tell her that she is worth it and you want her to have the best. If she is really hesitant just start with one day a week. Have a schedule of what you would like the care companion to help her do. Maybe making a grocery list, ordering them online and then picking them up later. You could also have the caregiver plan a week of meals and cook a few to freeze. Yes, even when you are incredibly busy! You do not have to talk very long. But a few minutes to check in can mean so much to someone living alone. If you live far away and cannot see mom often try doing video chats. If Mom has trouble with the technology to make that happen the caregiver could set up the call for her while she is there. Even better, have her set up the call right before she leaves. Make sure to mark this time off of your calendar so you can give mom your undivided attention. Bob lives in Nevada and his mom is in Cypress, Texas. They do Facetime every morning while they are both having their coffee. Sad but true, scammers prey on the elderly. The grandparents’ scam (telling the senior that their grandchild is in deep trouble) is a common one. There are also people posing as representatives from Medicare, social security and the IRS and calls with offers for free or discount medication. For seniors that use the internet, they can be vulnerable to even more. Most seniors are terribly embarrassed when they fall victim. But the truth is these people are often savvy professional crooks. They know exactly what to say to push your buttons and get you to fall for their schemes. And women over 80 who have lost a spouse or moved in the last three years are most vulnerable. Talk to mom about these scams. Don’t lecture or warn her. Nobody wants to be lectured especially by their children. You want to keep the conversation as open as possible. That way if there is a problem now or in the future Mom will feel comfortable talking to you. Just talk about the different scams you have heard are going around. Ask if any of her friends have been targeted. Having a conversation is the first step. Secondly, you might suggest that you be added to her online banking accounts as an added security. This way you can look for any unusual or large charges that may be a red flag. If Mom will allow you to take over her finances that may be the best option. But don’t expect it to happen. Much like giving up the car keys this is something most seniors want to have control over. Third, take a look at the mail that she is getting. If she is getting a lot of mailings from promotion companies could indicate the elderly person is on a “sucker list”. Ask her to go with you because you don’t want to go alone. After all, you both need this information. People are sometimes hesitant to talk about finances and future long-term care plans. But if you don’t talk about it now you may find yourself in a world of hurt down the road. The Hilbun Law Firm offers these workshops free every month. We have both daytime and evening workshops. Rest assured you will not be pressured to do anything. And the information will be invaluable to both of you. get the updated workshop schedule here. Mom is Being Evicted From a Nursing Home? Most people have probably never given this much thought. They assume that once they place someone in a nursing home, the home will continue to care for them until the last day. Unfortunately, that’s not always the case. Lori found out the hard way. Lori and her mom cared for her dad who had Parkinson’s disease. It was a long journey. When Mom started having problems, there simply wasn’t any money left. Lori’s mother had dementia, diabetes and a host of other problems. It was not the kind of job that one person could do and Lori seemed to be the only one stepping up to the plate. So she placed her in a nursing home after qualifying her for Medicaid. It was pretty much the only option. They tried Medicaid home care for a while but that didn’t work out. Medicaid pays very low wages. So the quality of the person that was being sent to her home- well let’s just say it wasn’t the best. On top of that, many times, they didn’t even show up. As often happens in families, Lori’s brothers and sisters were too busy with their own lives to help out. So Lori made the difficult decision to place mom in a nursing home. “There just didn’t seem to be any other solution!”, Lori cried. Medicaid beds in Houston are often in high demand. She wanted someplace close so that she could visit often. As her advocate, Lori knew that she was still going to have to be very involved. She just didn’t know how involved she was going to have to be. She felt blessed to find a bed in a facility close by. But the blessings were short lived. On numerous occasions, Lori’s mom ended up in the hospital. Lack of care on the nursing homes part was usually the reason. Diabetics are prone to infections. As such infections that got out of control would land her in the hospital often. One time, Lori decided she’d had enough. She wanted to switch mom to a new nursing home in hopes that she might get better care. This was the time to do it. Her mom was getting ready to be discharged. As such she would need rehabilitation care. Since Medicare would pay for that it made it easier to make the switch. A new nursing home would be happy to get those Medicare dollars. So she contacted several nursing homes in the area and the one that she was interested in came out to assess her mother. Mom would be going to the nursing home on Medicare benefits. She needed some rehab after her Hospital stay and Medicare would pay for a short period of rehabilitation. The nursing home agreed that after her Rehabilitation she could have a permanent room as a Medicaid patient. Lori was thrilled. The new nursing home was close to home. It looked much cleaner and more updated than the last one. And from what she could see, the care seemed to be pretty good. Oh, she knew should still have to stop by, after all, she was moms advocate. But she had high hope for a brighter future for her mother. So the transfer was made. As is common, Lori’s mother had some difficulty adjusting to the new place. She moved from one nursing home to the hospital and now to a new nursing home. Someone with dementia has a lot of difficulty with change. So Lori was there helping her mother acclimate. Lori was shocked. They had assessed her mom in the hospital. “They knew she had dementia!” Lori said. In fact, when the case manager came to assess her, mom was hollering, as usual, help me help me. It’s a typical cry people with dementia often have. They’re frightened and they just want reassurance. And Now Here They Were Kicking Her Out. Lori discovered the reason why. Nursing homes get up paid a lot higher dollar for Medicare patients than they do for Medicaid patients. Though they have to take some Medicaid patients they really prefer not to. By Law, there are 6 reasons that allow for transfer or discharge of a patient. And Lori’s case the nursing home was using the first reason. They said she needed Memory Care. But the problem was, there were no memory care beds available for Medicaid patient anywhere in Houston. In fact, there are very few nursing homes that specialize in memory care and those that do only take a handful of Medicaid patients. Lori’s mom did not need to be in a locked facility. She was unable to walk and could not move very far in her wheelchair. She had never hurt or threatened anyone at the facility. She simply became frightened and agitated in the later part of the day. Reaching out to an Ombudsman, Lori was able to have some help. The Ombudsman helped her mediate with the nursing home to come up with a solution. It wasn’t ideal but Lori would do it. Typical of dementia, Lori’s Mom’s behavior problems usually started in the late afternoon. It is often referred to as Sundowners. As the sun goes down many people with dementia suffer from agitation, anxiety and other stress-related symptoms. This can cause them to act out in ways that are not their normal personality. So, Lori Agreed that she would visit her mom every day from 4 in the afternoon till 9 at night. She would be there to attend to her needs. It wasn’t easy. “ I felt like they were getting a free extra caregiver,” Lori complained. Unfortunately, the situation is not uncommon in Houston. If you have additional questions about what a nursing home can or cannot do visit our website, set up an appointment, or come to one of our workshops. Let’s face it. There are probably a lot of things you have been putting off. You know they need to be done (like that colonoscopy you were supposed to have 3 years ago :-). But the truth is doing some things may not be comfortable. So, we procrastinate. According to Wikipedia- Procrastination is the avoidance of doing a task that needs to be accomplished. Sometimes, procrastination takes place until the “last minute” before a deadline. In the case of estate planning a deadline translates into a crisis. Talk to any Elder Law Attorney and they will tell you horror stories of families who failed to plan. These people called them when in the middle of a crisis. There had been an accident or sudden illness. And the legal documents were not in place. These families needed help and they needed it fast. Unfortunately, waiting until a crisis could cost you plenty. Sarah found out the hard way. Let’s face it if you have a parent who is still alive, they are aging. Planning for the future can never happen too soon. Your parent may be healthy and still rather young but it is important that they have their legal documents in order. Let’s face it, nobody plans to have a health crisis.Having a will is a good first step but there are a lot of other documents to consider. A good way to figure out what you may need is to attend an Estate Planning workshop. Talking about money, estate planning, funerals and such may not be very comfortable. However, not talking about these things could be devastating for everyone involved. Planning for the future is about doing the right thing. Making sure that everything is in place in the event of an accident, sudden illness or death can be the best gift you ever give your children. #3 You Own Any Kind of Property. A lot of people believe that they do not need estate planning because they are not wealthy. The truth is if you own any kind of property; a home, car, boat, land etc., you need a plan in place. Not having a plan could cause a lot of headaches for your loved ones and could also come with a huge financial burden. If you have a child with special needs it is imperative that you plan for their future as soon as possible. Not doing so could leave your child vulnerable and at the will of the courts. Make sure you talk to an attorney who has experience working with families of children with special needs. Your child is counting on you.Don’t let them down! Needs such as Early-onset Alzheimer’s, Parkinson’s, MS or another chronic illness. An Estate planning attorney can work hand in hand with your financial advisor. Additionally, they can refer you to a reputable advisor if you do not have one. Planning for future health events that could happen will ensure that you get the best possible care when you need. Additionally, your planning will help to relieve excess stress your family would experience without a plan. We have all heard the stories of families that got into huge fights over the estate. You may think this only happens to the wealthy. Not so. Everyday middle-class folks like you may experience this in their family. And if you think it cannot happen to you, think again. Many families report being shocked at how a family member behaved. Illness and death bring up a lot of emotions. And the truth is people do not always behave well when they are grieving. An attorney can help you set up your estate to avoid many of the conflicts that could arise. They will also give ideas about how to have the conversation about your desires and wishes. #7 You Want to Make Sure Your Wishes Are Honored After You Are Gone. You really want to make sure that your daughter Sue gets Grandma’s diamond and emerald necklace. They were close and Sue helped you care for your mom. If your son gets it, it would end up going to his wife or being sold. Neither of which you would be happy with. Also, you want to make sure that your step-daughter doesn’t end up with it. It is important that this heirloom is kept in the family. An estate planning attorney can help you to craft your will and put the proper trusts in place to make sure your wishes are carried out. This way your wishes will be honored. Don’t put this task off. Do it for the ones you love. The Hilbun Law Firm has regularly scheduled workshops to help you learn about the law to know what documents you need to have in place. Check out the schedule here.